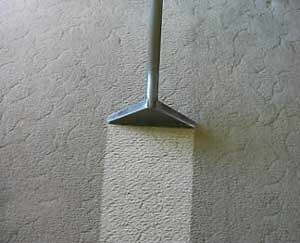 Good Deeds Carpet Cleaning services the greater Pittsburgh and Western PA area meeting commercial and residential carpet care needs. Thanks for visiting Good Deeds Carpet Cleaning! We hope to hear from you soon. Good Deeds Carpet Cleaning is focused on providing high-quality, effective carpet and upholstery cleaning and care service that guarantees customer satisfaction - no job is too big and our team will do everything we can to meet your expectations for carpet and upholstery cleaning services. With a variety of cleaning services to choose from, we're sure you'll be happy working with us. Look around our website and if you have any comments or questions, please feel free to contact us at your convenience. We hope to see you again! Check back later for customer reviews and carpet care tips and techniques. There's much more to come! No job is too big and our team is motivated to meet all you carpet and upholstery cleaning needs. Our truck mounted system ensures a deep and thorough clean every time! We will ensure you're carpet and upholstery not only meet our strict standards but yours as well. We live by our results and ensure customer satisfaction and look forward to meeting your recurring cleaning needs.